The HSA is delighted to welcome CCP Technologies Ltd., as a new member to the group. CCP Technologies specialises in Internet of Things (IoT) product development and product management. 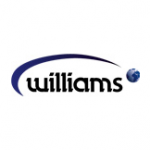 Williams Refrigeration, a world-leading manufacturer and supplier of professional refrigeration, is the latest member of the Association.